Be the first to experience all-out war on the new battlefields of Gallipoli and the North Sea. Storm the beaches of the Gallipoli peninsula with the British forces or defend the Ottoman Empire’s fortifications. 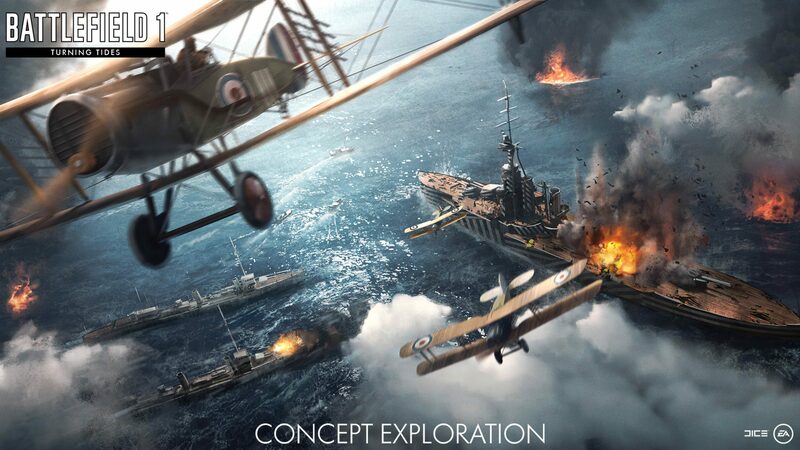 Master the land, air, and sea interplay to win the defining battles. Throw yourself into the British assault on the Gallipoli peninsula of 1915 in an intense, fast, and infantry-focused setting. Take part of a treacherous push for a prominent hilltop position. The Great War at sea. 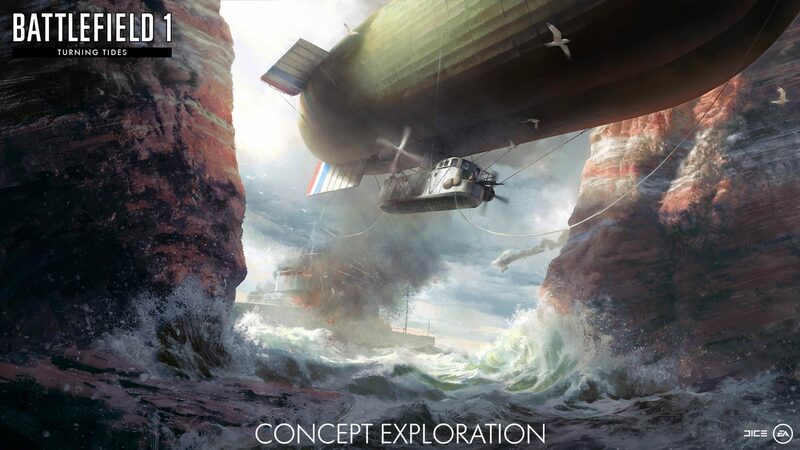 Engage in an epic naval clash as the British Empire Royal Marines and German Navy pit dreadnoughts, destroyers, and aircraft against each other while infantry troops fight by the iconic red cliffs of Rocky Cove. Take part of the daring British raid on the Belgian port of Bruges-Zeebrugge with rough waves and a vast German mole as backdrop. Fight at sea, in the air, and in close-quarter infantry environments. Don the characteristic blue uniform of the British Empire’s elite naval troops and charge into battle with the new Royal Marines. 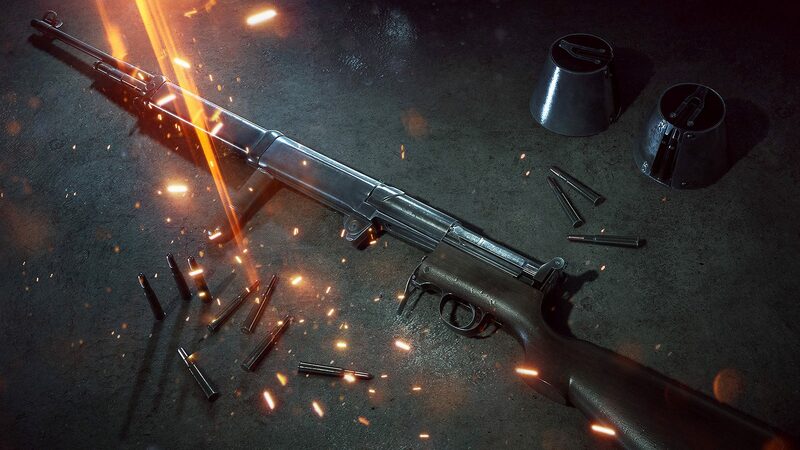 Find your new favorite weapon among the M1917 Trench Carbine, Maschinenpistole M1912/P.16, Farquhar-Hill, M1917 MG, Carcano M91 Carbine, and Type 38 Arisaka. When the fight gets close and personal, unleash your fury with the new Naval Cutlass and Grappling Hook melee weapons. Hide in plain sight and move faster across the battlefield with the new Infiltrator Elite Class. This strategic kit allows you to take advantage of a permanent sprint boost while calling in artillery strikes and deploying a mobile spawn for friendly troops. Rule the waves with the all-new L-Class Destroyer. Jump into one of four seats and deliver mayhem to sea, air, and ground units using cannons, torpedoes, AA guns, and mines. Spawn on the new C-Class Airship and deliver death from above. This nimble airship has room for a pilot with three gunners and will be a frightening sight on the battlefield. 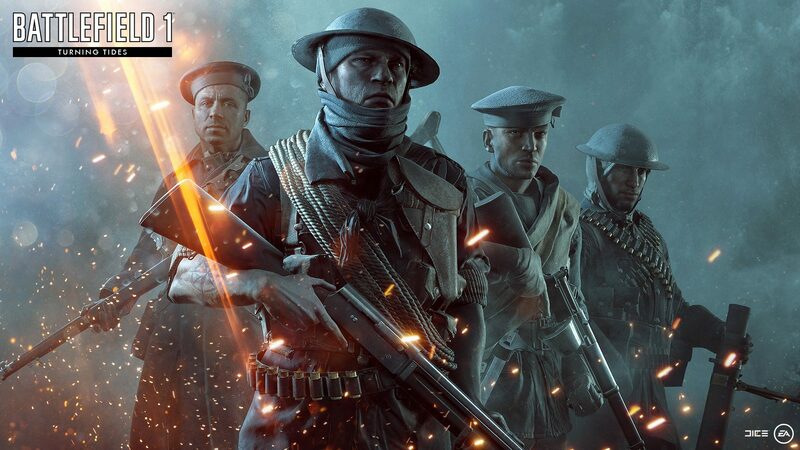 Take part in the British amphibious assault on the Gallipoli peninsula in 1915. 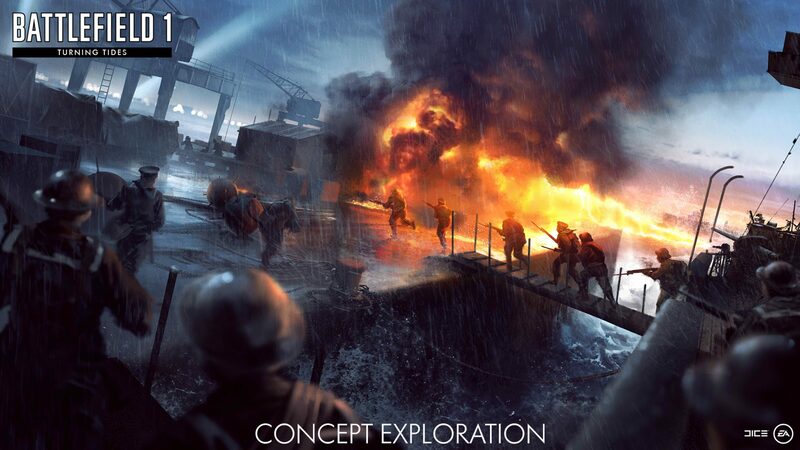 Battle it out in Cape Helles and Achi Baba. Take on a plethora of mini challenges, putting various skills on the battlefield to the test. Complete the Service Assignments and be rewarded with new Specializations. Customize your play style with new Specializations tweaking everything from Medical Crates to your AT Rocket Gun. Relentlessly press the offensive – or hold your ground. In a twist on the signature Conquest mode, Conquest Assault sees attackers and defenders fight over key areas, exclusively controlled by the defending team as the match starts. • More content and ways to play for all players. 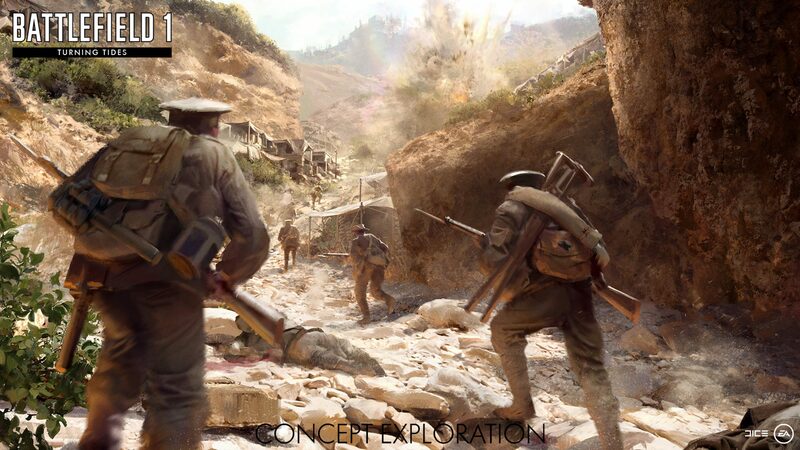 • When live, join a Battlefield 1 Premium Pass† owner’s Squad to play all available maps. • When live, play all available Battlefield 1 Premium Pass† maps.